Pillow cover made out of vintage kilim rug. The back has a solid fabric with hidden zipper. Great vintage condition. No stains. Normal wear. 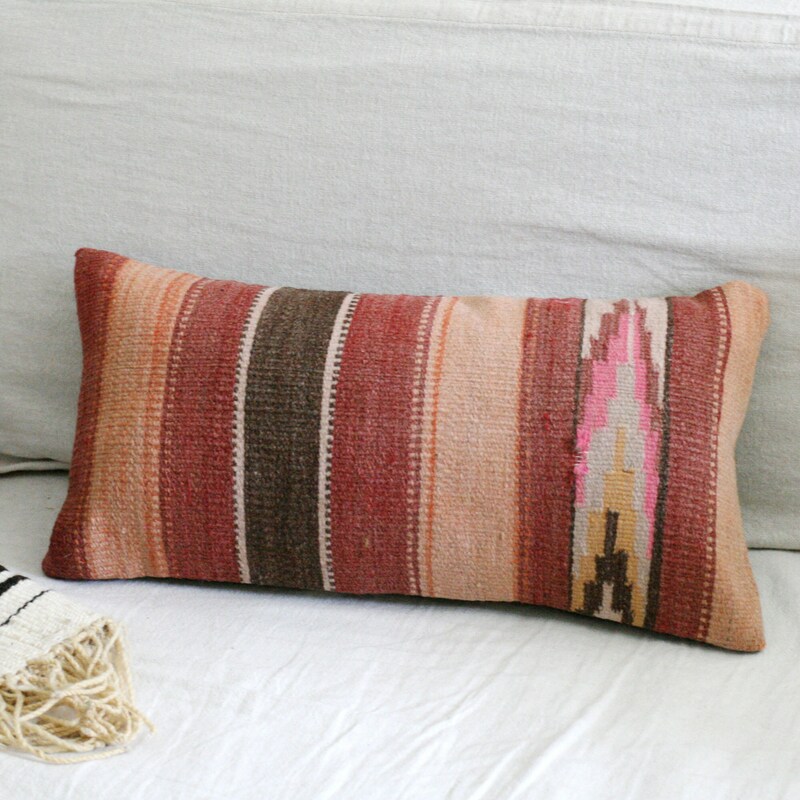 Keep in mind that this pillow is made out of a vintage kilim rug. Please refer to pictures for distinct characteristics or flaws.